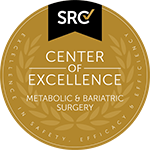 Lap-Band surgery is a reversible procedure where an adjustable silicon band is placed around the upper section of the patient's stomach. Adjusting the size of the band slows down the eating process and restricts the amount of food that can be consumed by the patient, facilitating weight loss. Is Lap-Band Surgery Right for Me? 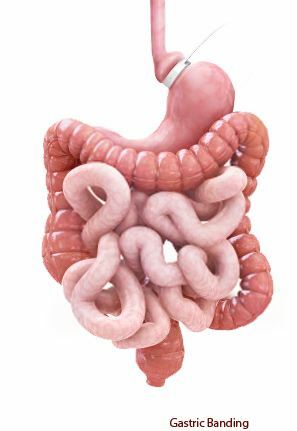 The band is adjustable, meaning the stomach can be reduced/increased in size as needed. What is involved in the Lap-Band Procedure? The surgeon makes small incisions in the patient’s stomach. Specialised instruments, including a lighted camera, and the adjustable silicone band are then inserted through these incisions. The camera transmits a live feed, enabling the surgeon to carefully secure the band around the upper part of the stomach with sutures. An injection port is connected via a tube to the band and then positioned alongside the muscle of the abdominal wall. The band can then be tightened or loosened by injecting or draining a saline solution. 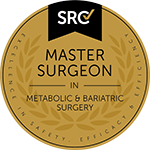 Before the procedure, Baulkham Hills weight loss surgeon Dr. Kuzinkovas will run a series of tests to ensure that the patient is ready for surgery. Patients may need to lose weight, start exercise, or change their diet to prepare for the procedure. Go on a liquid diet a week or two before surgery. Patients may also want to purchase the foods, drinks, and medications they will require after surgery. Apply for at least one week of leave from work. Follow a liquid diet for the first two weeks. Join a weight loss support group. What are the Costs and Funding Options for Lap-Band Surgery? There are a number of factors which may influence the final cost of surgery including hospital fees and and the price of medications. Dr Kuzinkovas will be able to provide a more detailed quote after consultation. For patients with private insurance costs range from $2,500-$5,500. For patients without private insurance the $10,000-16,000.